The following is a guest post by Carolyn Rollins of Dell Canada who took part in a recent conversation around Dell’s survey of 50 global cities enabling innovation and change through technology similar to the one John Dietrich recapped for us here last week. 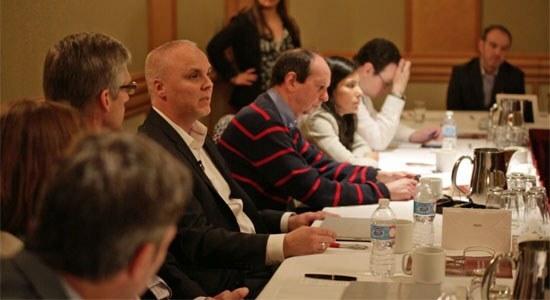 On Tuesday, April 12, I had the pleasure of moderating Dell’s Future-Ready Economies roundtable in Toronto. Among those participating in this lively discussion about Canada’s most populous city were business leaders from Microsoft, commonsku and Softchoice, a Harvard business school professor and Dell Canada President, Kevin Peesker, our host. The roundtable centered around future-ready economy enablers, and how infrastructure, human capital and commerce, and technology integrated with what we do day-to-day provide a platform for future innovation. We kicked off the discussion examining what future ready means to each of us– What I think it comes down to is the ability of technology to integrate seamlessly into our lives, being able to keep up with trends and be competitive globally. Alison Brooks of IDC said it’s about future-proofing the IT infrastructure and Jon Arnold of Jon Arnold & Associates said it is about smart cities alignment and human capital’s access to technology. And while there were many different viewpoints, we understood the opportunities and innovation being “future-ready” can enable, and specifically discussed the role transportation, public and private partnerships, and education play in building a future-ready city. Transportation is a big trigger for today’s evolving mobile workforce. An expanding mobile workforce minimizes reliance on infrastructure. Scott Harper of Softchoice said that increased work from home opportunities help avoid wasting time behind the windshield. However, Dr. David Ricketts, Innovation Fellow, Harvard TECH (Harvard) and 2016 chair of the Dell Strategic Innovation Summit, pointed out that reducing the number of drivers into the city can also have a negative economic impact and can mean less revenue, for example, from parking meters and parking tickets. He explained that cities don’t know how to handle that disruption. Public and private partnerships are also key. As Steve White, an industry analyst at IDC, put it, groups of people need to be on the same page to address complex situations. That magic comes from public and private partnerships. And there are some great examples : the work being done by Bloomberg in the U.S. or Microsoft’s involvement with students in Waterloo. And even though cities can find seeing a long term vision challenging, as Dr. Ricketts noted, even pilot projects, like smart parking and smart lighting, help in a small way. Education also plays a large role in creating a future-ready economy, as does experience. The single biggest challenge for employers is attracting the kind of talent that will enable smaller businesses to get to the next stage. Technology plays a big role in education, according to Steve Heck, the CIO of Microsoft Canada. He said it teaches how to collaborate better and how to deliver learning through multimedia approaches. Tech plays a role in lowering the barriers to success. Toronto has a strategic advantage. It is home to a number of top educational institutions, including the University of Toronto, which contributes $15.7 billion annually to the economy and has created 59 new companies in the last three years. Dr. Ricketts also noted that Toronto is more international and more open to people of different cultures. Do you know that half of the population of Toronto was born outside of Canada? With that said, Toronto has tremendous talent, partnerships and drive and is preparing each generation to be future-ready. It was great to hear from everyone during the roundtable this week and we at Dell look forward to working with our customers, colleagues and fellow citizens coast to coast in Canada to continue to build a national future-ready economy. To follow and contribute to this conversation, let us know what future ready means to you using the #futurereadyeconomies and #futurereadyeconomy hashtag. 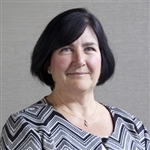 Carolyn Rollins joined Dell in 2006 and currently leads the Dell US Medium Business and Canada Commercial Marketing Organizations running B2B for Small Business to Large Business both Public and Commercial in Canada and Medium Business in North America. She is responsible for driving market leadership, demand generation, strategic programs and social innovation for Dell across all lines of business: end-user and enterprise solutions, software and services. Her key priorities are delivering business impacts and meaningful solutions for Dell customers and she is passionate about looking at creative new ways to work with them. Prior to joining Dell, Carolyn worked for 22 years at Datasym, a retail solutions hardware and software development company. She held the role of Vice President of Sales and Marketing. Interesting read. I particularly liked the observation about attracting the right talent which is a key growth driver not only for small but large companies as well. The Internet Of Things (IoT) could also be the big factor here, since it introduces an "Everything connected, everyone Informed" equation into the IT/Technology mix.